This elevated facility starts west of downtown and then continues over the I10/I45 merge before descending into downtown. 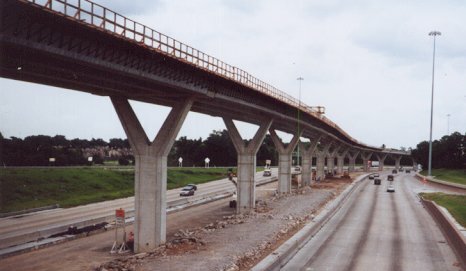 Photo taken June 2000, looking northward. 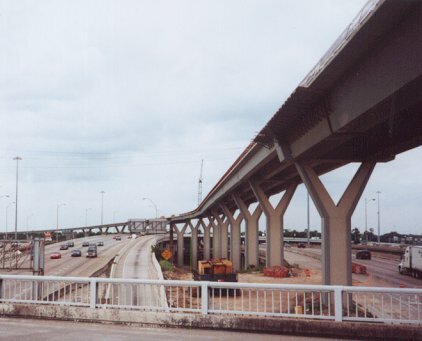 The elevated ramp is over the I10/I45 merge at this point. In the distance, it curves to the left to follow the path of I10.